Retinopathy of prematurity is a leading cause of blindness in 1.5 million children worldwide. Half of the children without sight in Russia and Eastern Europe are blind because of this disease. Fortunately, this condition is treatable and even preventable, and Alan B. Richards MD, of Eye Docs for Kids in Shreveport, U.S.A. helps lead the charge to eradicate the condition in this part of the world. ROP is a potentially blinding disease affecting the retinas in premature infants. The retinas of premature infants are not completely developed at delivery. When premature infants are placed in incubators with increased oxygen levels to help with immature lung development and breathing difficulties, the increased oxygen levels can cause retinal blood vessels to grow abnormally. This can lead to bleeding, scarring of the retina, retinal detachment and visual loss. The neonatal care of premature infants is improving in countries like Russia, and many more infants are surviving. However the techniques for properly administering oxygen and for examining and treating the eyes of premature infants is not well-known, and therefore, the incidence of blindness in these children is increasing. In 2010 Dr. Richards formed Shreveport Sees Russia in an effort to raise funds for ROP in Russia. However, it quickly became obvious that ROP wasn’t just a problem in Russia but other Eastern European Countries bordering the Black Sea. Thus in 2012, Eye Samaritans International was formed, which now helps and advocates ROP treatment in nine other countries including Russia. The money raised helps educate ophthalmologists, neonatologists and nurses on how they can change these staggering statistics of blindness in children. The money pays for transportation for both the teaching ophthalmologists and for the seminar participants. 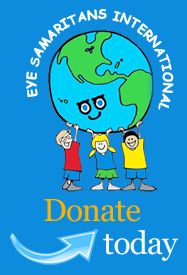 To become a donor for Eye Samaritans International, please click here.